There's a better way to use that "bowlful of jelly" (aka canned cranberry sauce) than just plopping it in a bowl for your Christmas dinner. Grab that bowl of jelly and head over to the bar! Chill your martini glass in the freezer. 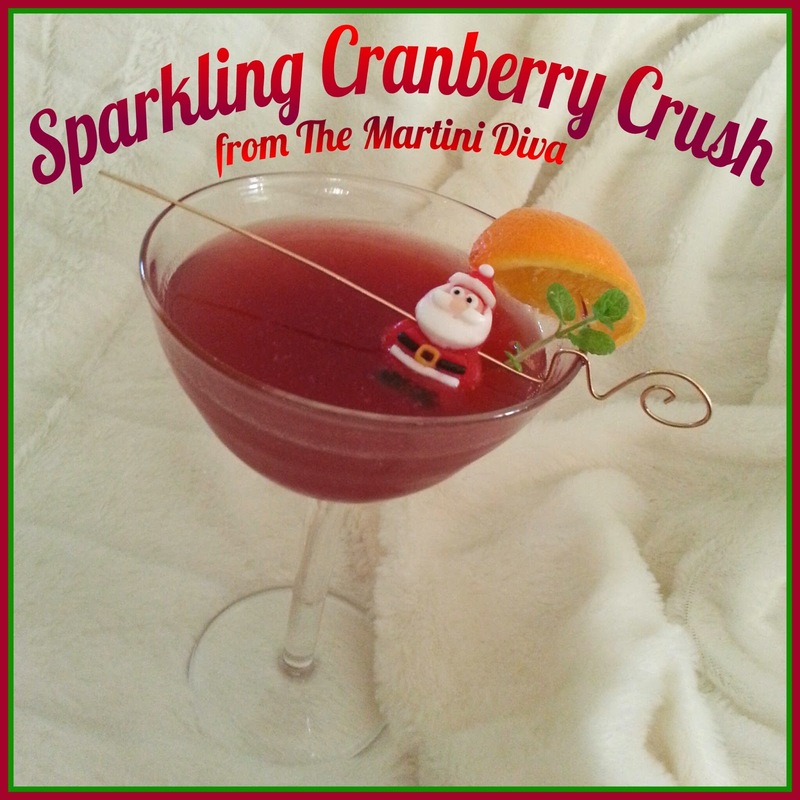 Blend the cranberry liqueur and cranberry sauce together in a blender. Add 4 of the mint leaves and the orange juice to your cocktail shaker and muddle until you can smell the orange mint. Add a cup of ice cubes to the cocktail shaker then pour in the cranberry liqueur and cranberry sauce mixture, the cranberry bitters and the Grand Marnier and shake until your cocktail shaker frosts over. Strain into your chilled martini glass, leaving enough room for the Champagne. Pour in the bubbly, garnish with the remaining mint leaf, the orange twist and the Santa gummy candy. Serve up with some great Cranberry Italian Sausage Meatballs! A VERY HOLLY JOLLY CHRISTMAS EVE TO YOU & YOURS!